I know I haven't paid attention to a Frankenstein story in years, but I certainly don't remember him looking like a sliced up jock who escaped from a video game. Director Stuart Beattie helms a new adaptation of the famous monster/scientist in the upcoming thriller, I FRANKENSTEIN. As much as I was excited about a Mary Shelley character getting a modern treatment, I'm kinda disappointed with the trailer. It reminds me of the post traumatic stress I experienced once I realized what they did to Sherlock Holmes in the Robert Downey, Jr series. It just looks jarring. But I'm always here for Eckhart, and Bill Nighy (who also appears in the movie) is usually dependable. The Underworld producers are behind it, which does not ease my concerns one bit. Check out the new trailer below, and share your comments. 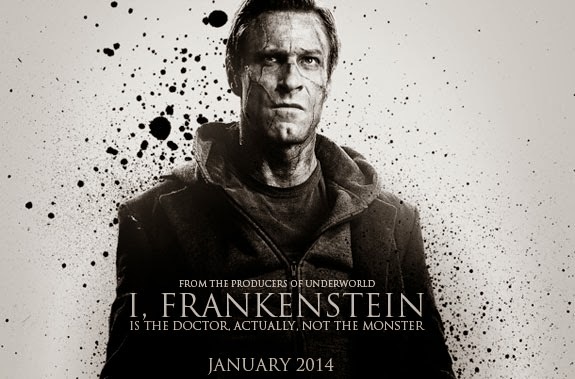 I FRANKENSTEIN opens in theaters January 24th.